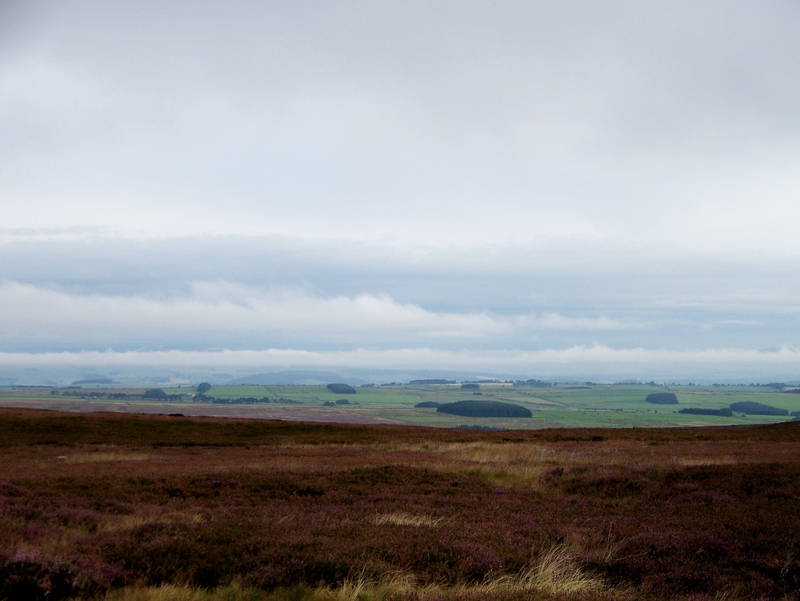 WE used to live in a Cumbrian village called Marton, which had the nickname “La’l Hell” – or Little Hell. 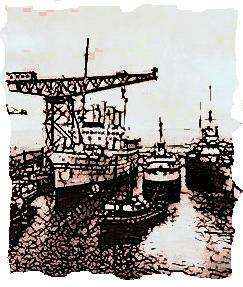 In its iron-mining heyday, it was said a bloke had to “fight to get in and fight to get out again”. I note from the internet that Hexham shares the same distinction. 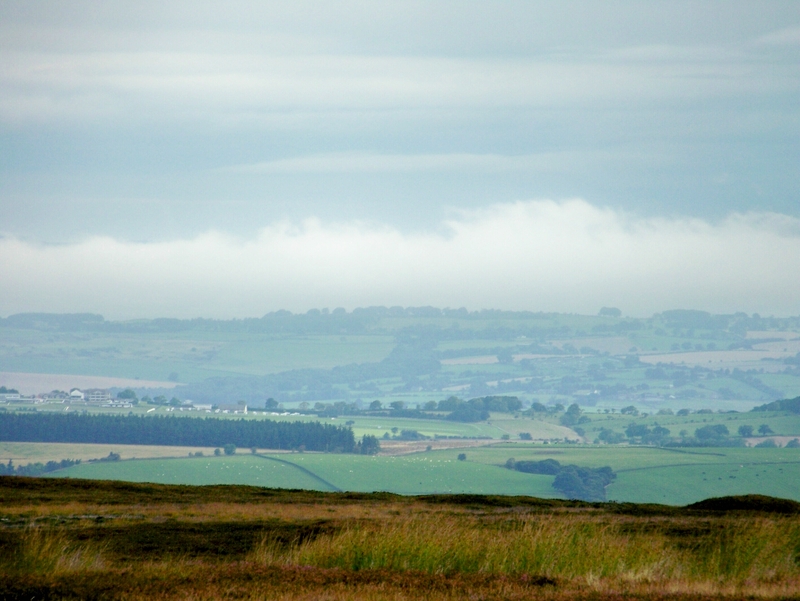 Hexham was known as the “hell” of the Border country. In the old days, if you wanted to offend someone, you said “To Hexham wi’ you and ye’r whussell”, or “Gang to Hexham”. Which makes me wonder why I’ve spent to past two days walking there . . .
My night beneath Hangman Hill was uneventful. I wasn’t attacked in my tent by cattle thieves, highwaymen or lesser ruffians, and I heard no moaning, groaning or creaking of nooses on the night wind. 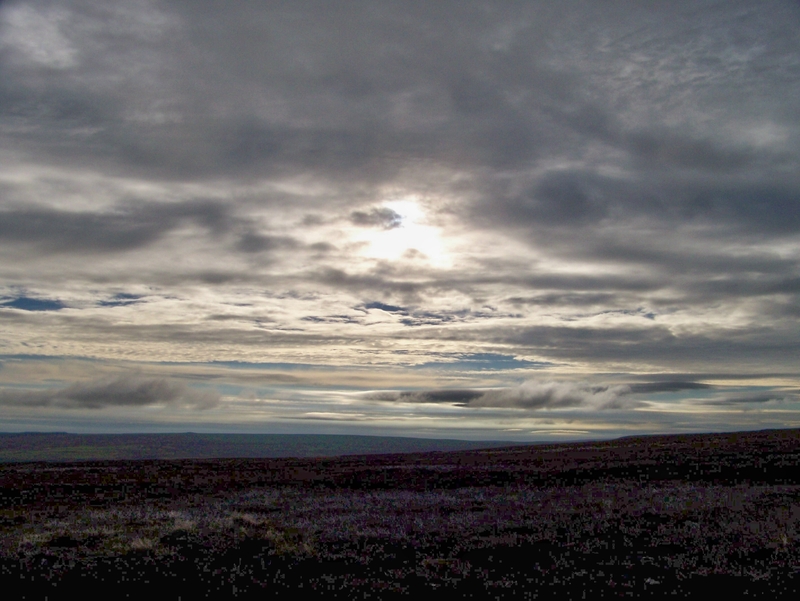 In fact, except for the continuous clucking of grouse – which are so thick and desperate to be shot that they peck about in the heather like domestic hens – I had a very peaceful time. 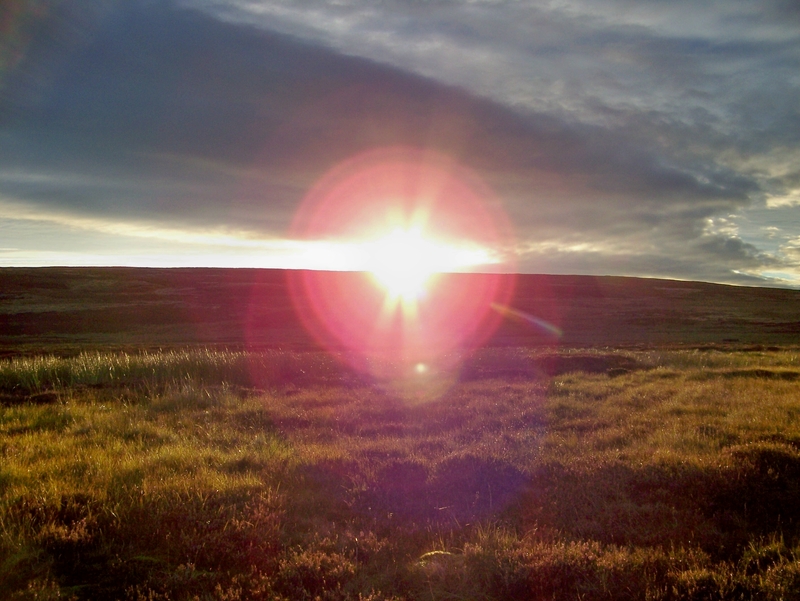 Now it’s 7.40am, the sun is shining after rising behind Hangman Hill in a glorious moorland dawn, and I’m on the high track to Hexham – or Hell, as we shall call it for the sake of tradition. But really, there isn’t much left to say, because my walk from Bowes is pretty much at an end. 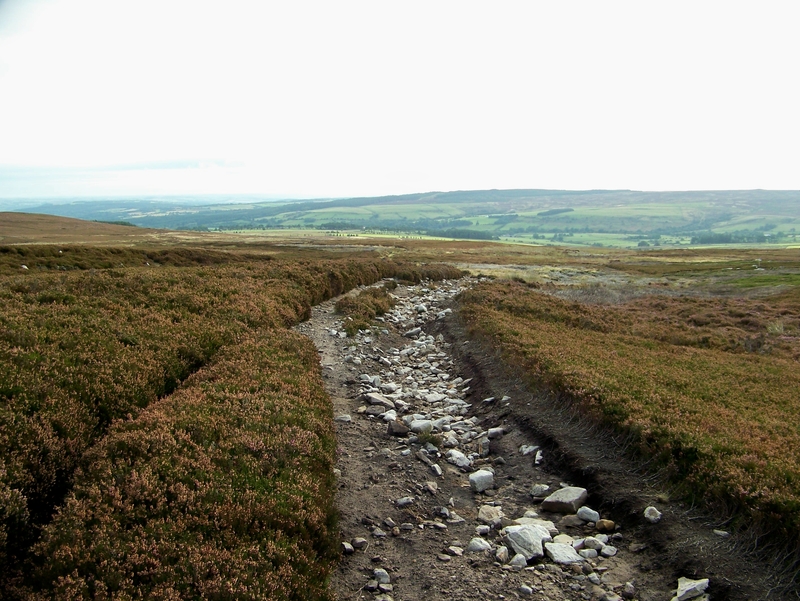 After two or three miles, Broad Way descends to fertile valleys and joins the national road system, running straight and true between widely-spaced walls that perhaps shed light on its origins. 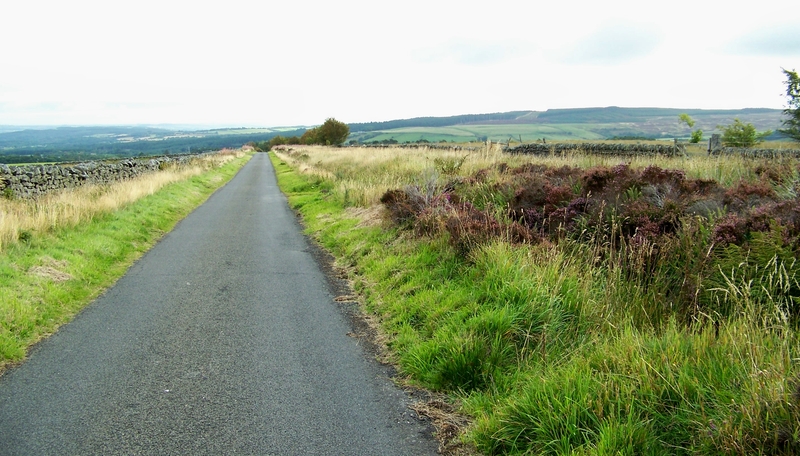 I’ve only six or seven miles to walk to Hell – which, incidentally, is the only Tory-held seat in the North-East – so instead of boring you with small talk about the weather or my blisters, I intend to have a rant. If these signs were fastened to farm buildings so that the only people able to read them were actually walking – legally or otherwise – on private land, then I would have no issue with them. But I am on a public road. I have as much right to be where I am as the farmer, his wife and the dairymaid. The last time I sat down and thought about it, I was living in a free country. 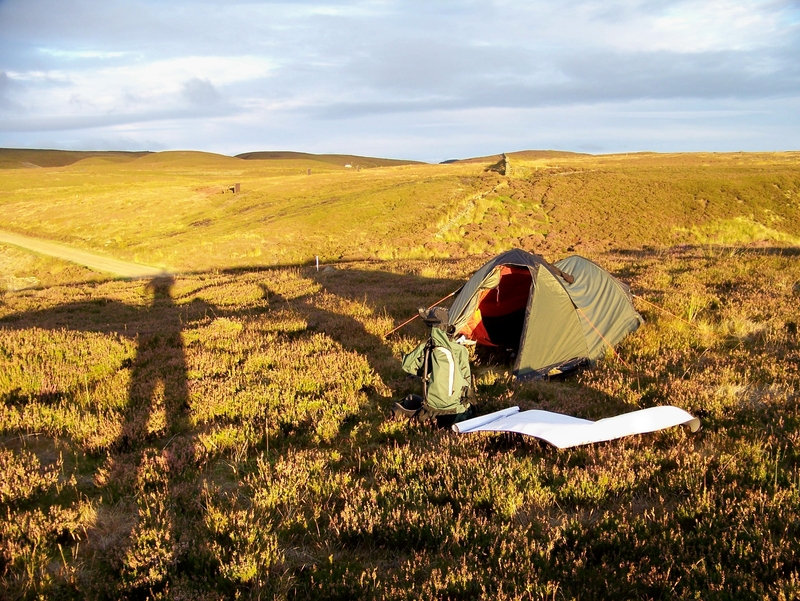 We have a right to privacy and a right to roam. We have freedom of movement on public roads and pathways, and many generations of men and women have laid down their lives to uphold those freedoms. When I am going about my business in a public place, harming neither person nor property and abiding by the law, the last thing I need is some faceless landowner telling me I am being watched, because this indicates to me that I am automatically a suspect. I am a potential thief, a robber, an enemy of the farming community. I am none of these things; I am a British citizen with rights and responsibilities. I do not accept I should be watched because I am simply walking along a road. I do not accept it is reasonable for the public to be affronted or intimidated in this manner. So in a perfect world, I would expect those landowners, farmers, tenants, or whoever, to remove their signs and stick them somewhere more appropriate. After a couple of hours pounding tarmac, I reach the long and steep descent into Hell. By now I’ve arrived at the conclusion the landowners in this vicinity have for generations held the belief that all strangers are potential sheep thieves, cattle rustlers, vagabonds, villains, highwaymen, robbers, ne’er-do-wells, tinkers, apple-scrumpers, egg-stealers and poachers. 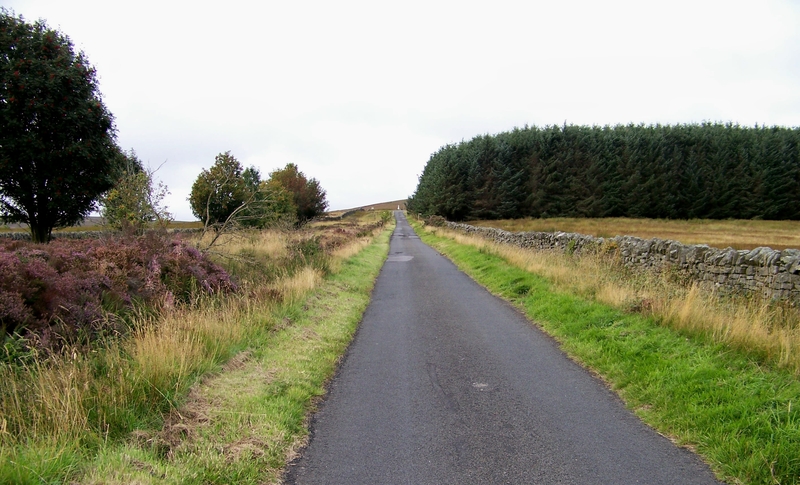 Hence the strategically-positioned Hangman Hill on the high road from the south – a grisly welcome for visitors and a sharp warning to those who intend falling foul of the law. On the edge of the town centre I cross another road descending from the east. It’s called Gallows Bank. Welcome to Hell. The next train leaves in ten minutes and I’m going to be on it. 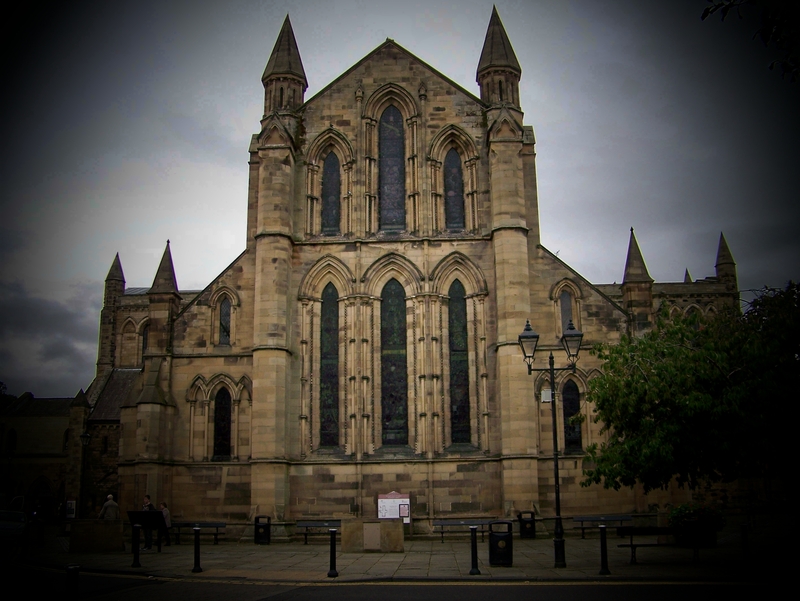 Hexham Abbey. It’s a nice town really. 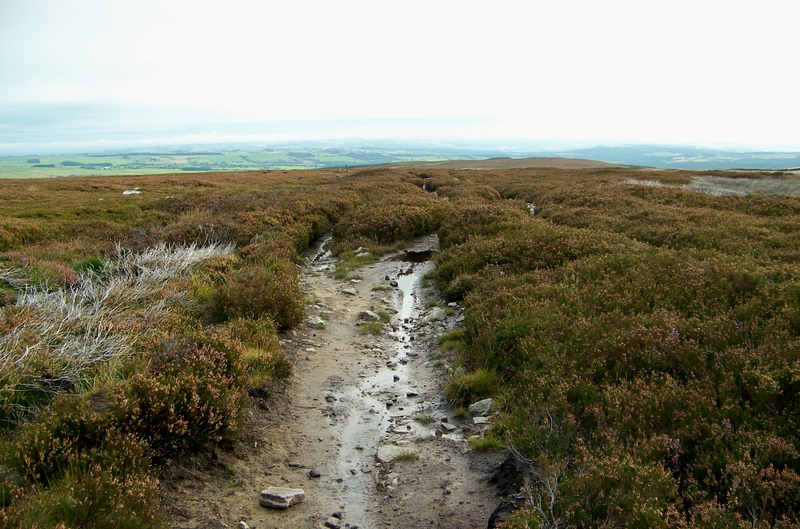 This entry was posted in Camping, Death, Drove roads, Environment, Footpaths, Ghosts, Hiking, History, Mountains, Ranting, Walking and tagged outdoors, Pennines. Bookmark the permalink. Ha ha. I could claim nationality with my parentage. I got a clan tie somewhere. My father was into tracing his roots, and apparently the McFadzeans originate from Lochbuie on Mull. I don’t know whether they have an annual get-together like some clans do, but if they ever have one I’ll certainly go along. Quite fancy wearing a kilt. That’s interesting. I’ve often wondered how my father’s family ended up in Sanquhar. I did wonder if they’d drifted down in search of work or been booted out during the Clearances. If you’ve any more information it would be gratefully received. I have a tie and it’s what I would describe as a loud red check. There’s nothing subtle about it. But hey, how many people can say they have their own tartan? Tent looks good Alen. I’ve just deleted a long rant about the type of people that vote Tory because I may have offended some of your readers. Lol as they say nowadays. Greg, it’s not like you to hold back. Didn’t David Cameron get into trouble for using LOL with that woman with the red hair? He thought it meant something else. The tent’s brilliant, by the way. Oh dear, it was all going so well! 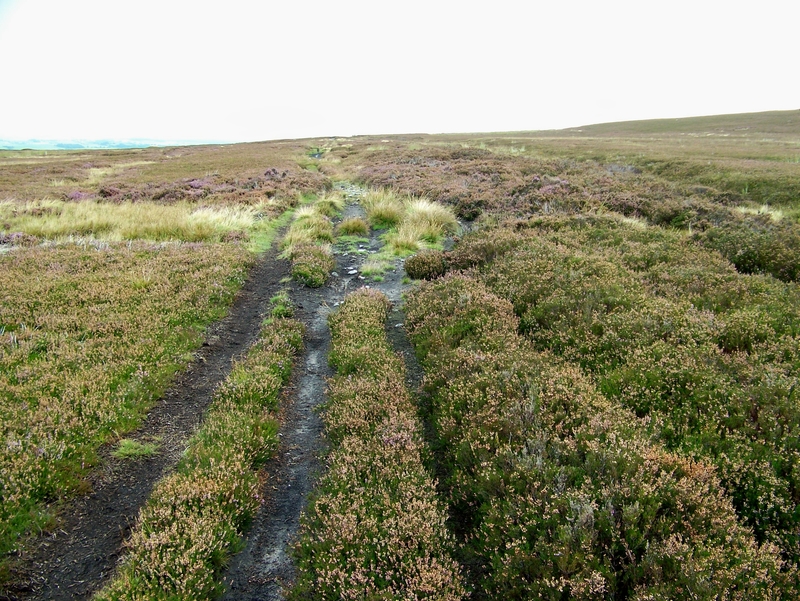 🙂 I love the pics of the heather moorland and the old tracks. I think those signs are an offence in themselves, assuming that your intentions are dishonest or suspicious. Talk about George Orwell! There’s no simple decency or respect any more. PS What would my ‘whussell’ be, if someone condemned it to Hexham? Hiya Jo. I wondered what ye’r whussell was myself, and assumed it was a way of writing yourself, as in you-er-sell. I don’t claim any degree of accuracy with this theory, it’s just the way my mind worked around the subject. Yes, George Orwell in the countryside. Everyone is watching everyone else. That made me laugh. As in a Jack Whussell? We also have a monitoring craze in Denmark. A particularly beautiful scenery was completely destroyed by the use of fences signs and cameras. Hej Hanna. Yes, there are cameras here in many places although not necessarily at beauty spots. Now if there were ghosts, and there were cameras in place, maybe we’d catch them and prove ghosts exist. When I was a child I read a ghost novel with a cruel poltergeist, I was scared the wits out for a very long time. I like the idea of camping somewhere that has a reputation for being haunted. It would make a great blog post – so long as nothing scary happened. Have a great weekend, Alen. 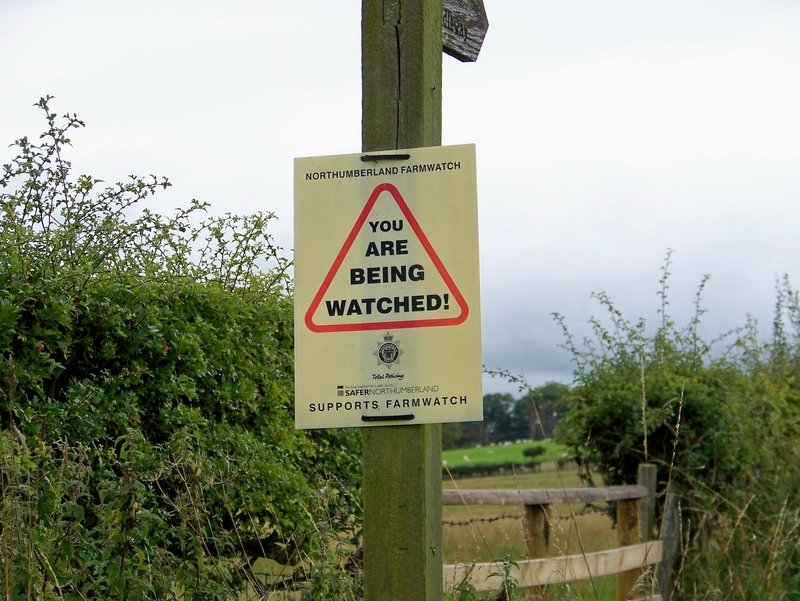 The Farmwatch signs aren’t actually against ramblers at all – they’re against sheep rustlers and quad-bike pinchers, both of whom are greatly on the increase in the countryside nowadays. You’ll also see a lot of farms using (and displaying notices about) smart water on their equipment (although not on their livestock unfortunately). What’s smart water then, Carol? I’ve not heard of that. I shall look into that because I’ve never heard of it before. Thank you.